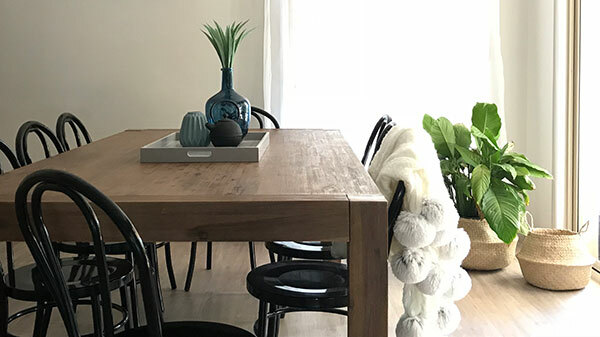 How to choose the right flooring with The Styling Mama! We recently installed our Karndean Looselay Longboard in the colour ‘Pearl Oak’ in Interior stylist and blogger The Styling Mama home. Here’s what she said about the process of having new flooring put in! There’s a lot to be said for excellent service and high-quality products when you’re considering new flooring! All the Pinterest research and Googling in the world still left me with a million questions. 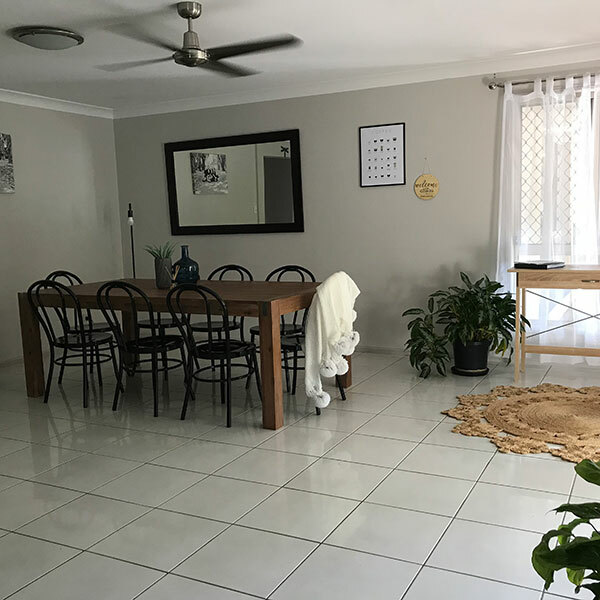 So, I didn’t hesitate in contacting Flooring Xtra to help me navigate the new and foreign world of replacing the flooring in our LARGE family home. Whether you’re a reno rookie (hands up over here!) or a seasoned professional, having expert advice from the very beginning will make the whole process smooth, and even enjoyable! As a large and busy family with 5 children, choosing a product that was durable yet beautiful was at the top of my list! 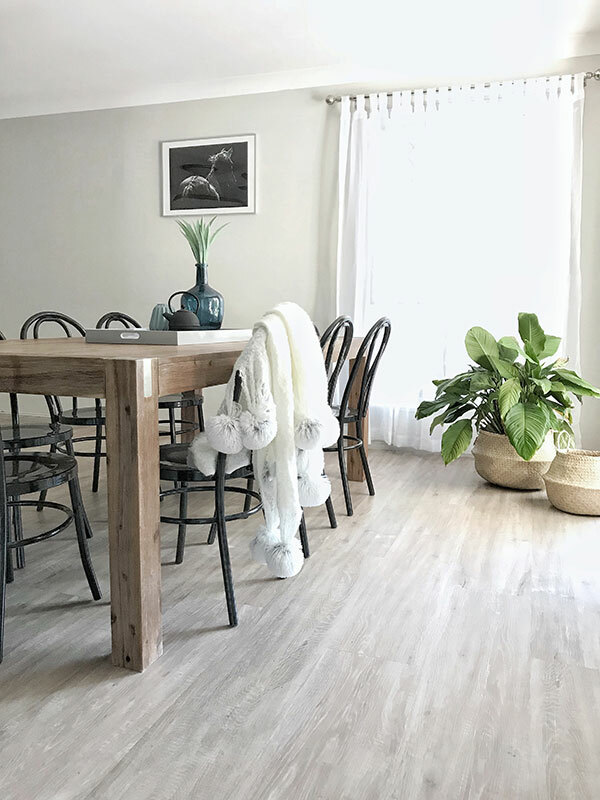 We had a great experience with vinyl flooring previously, so it didn’t take much to decide on LooseLay Longboard in ‘Pearl Oak’ with its beautiful features. Most importantly, I knew it would stand up to day to day traffic combined with some pretty heavy play. 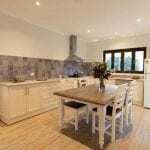 If you’re not sure about what will work best for your home, jumping on the Flooring Xtra website https://www.flooringxtra.com.au/. It’s a great way to start narrowing down the MANY options that are available right now. Whether it’s timber, vinyl, laminate, carpet – the team at Flooring Xtra really know their flooring. Once you’ve done a bit of research, my advice is to start making a list of questions about the flooring products you like. 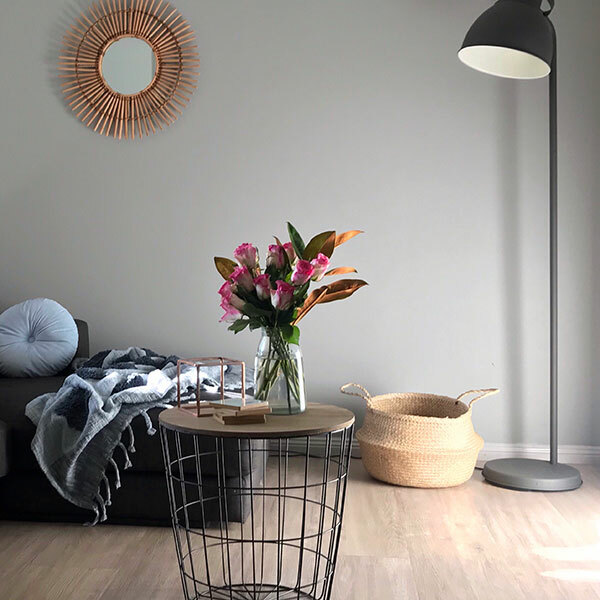 If you’re just doing one room or a whole home, it’s worth considering factors such as budget, lifestyle and of course, your own personal style. You’ll be pleasantly surprised with the options that are available once you get chatting to the Flooring Xtra team. They have stores everywhere too, which makes it so much easier for even the busiest of renovators to drop in for a chat. New floors are exciting, and they can be a bit tricky too. If you’re anything like me, you’ll have a thousand questions. Can you go over the current surface? Remove the current surface? 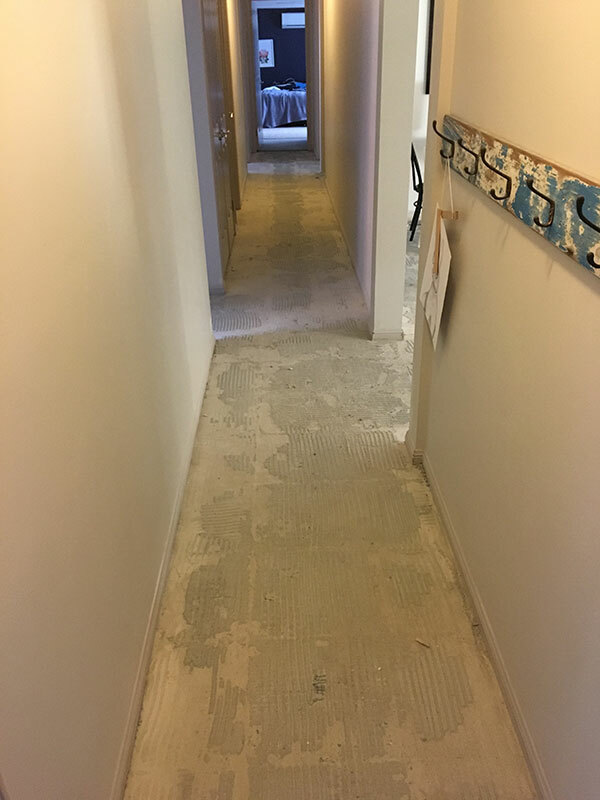 What floor prep is needed? Should I have another coffee? Luckily, Flooring Xtra offers a free measure and quote so you’ll know from the start what you’re dealing with. They can even help you out with getting the surface prep right too. We decided to pull our existing tiles up ourselves (wow, wasn’t that a mission! 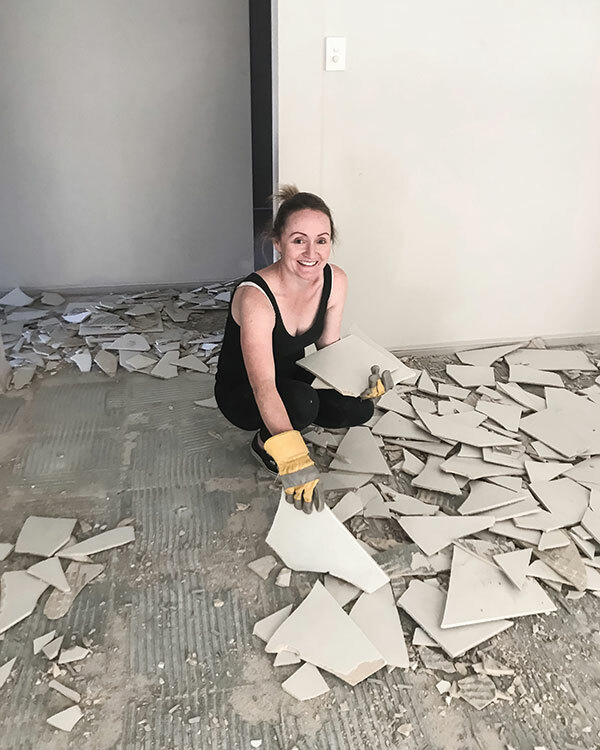 ), and the team at Flooring Xtra had some awesome contractors who made the surface perfect with a skim coat in preparation for laying our new Vinyl floor. If you’re not sure what you need to do, the advice is always on hand. But trust me, Flooring Xtra will be able to take care of everything. Except for the question about having another coffee – you’ll probably need to answer that one yourself (and the answer is always yes, right?). I must admit, I was pretty impressed with how easy the whole installation process was. Once our floor prep was complete, the new flooring went down quickly and easily. Being prepared before installation will help minimise any disruptions to your routine. If you’re worried about how much time you’ll need out of the house during the installation process, then chat with Flooring Xtra when they do your free measure and quote. Our entire process took just a few days from start to finish, and the installation team were fantastic! 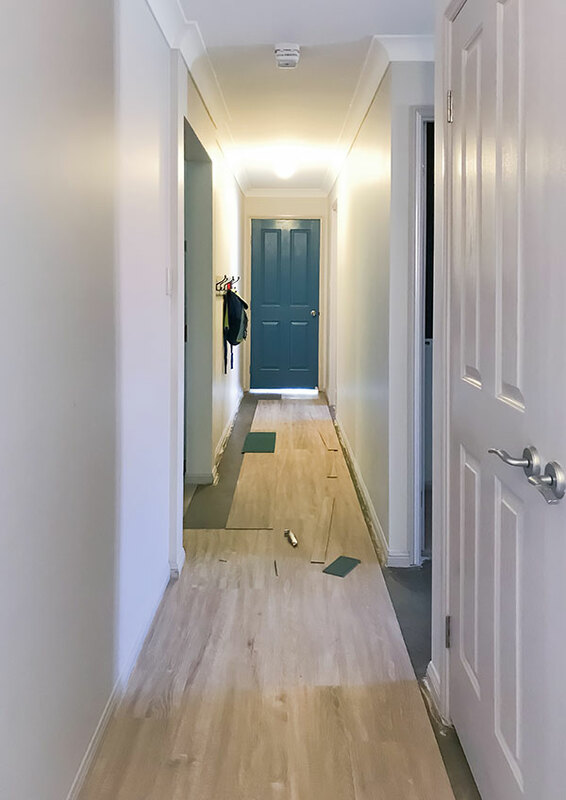 Check out our photos from before, during and after Flooring Xtra installed our new floor. What an amazing difference it made to our home. If you’ve been fantasising about new floors but you’re not sure where to start, jump online or give the Flooring Xtra team a buzz. 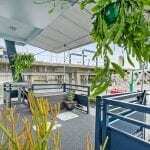 They made the whole process simple, from inspiration, through to measure and install.